The Lakeside Park-Crestview Hills Police Department has partnered with the U.S. Department of Justice, The National Shooting Sports Foundation, and Project Safe Neighborhoods to help gun owners keep their guns safely out of the hands of children and other unauthorized people. The best way to keep your firearms safe is to lock them in a secure manner. Hiding them will not keep them out of the hands of children. Just like those hidden Christmas gifts, the guns will be found! 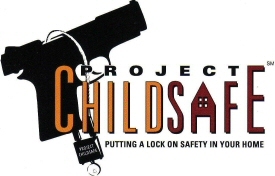 To help you keep your firearms safe from children, the Lakeside Park-Crestview Hills Police Department will give you locks for your guns, FREE OF CHARGE (While Supplies last). Stop by the department during regular administrative hours (8am to 4pm) and get one from the police clerk. You DO NOT have to register your firearm. All we ask is that you pick up a lock and use it! It’s that simple. Other area police departments are also distributing these free locks. We currently reserve this distribution to Lakeside Park and Crestview Hills residents.